Did you know that chair safety in the workplace is one of the most ignored aspect, yet the most critical? A recent statistic from the Bureau of Labor and Statistic shows that more than 80,000 administrative workers suffers injuries related to poor workplace design which include the chair design. It has been established that the most common problem for office working people such as back pains, fatigue, and stress is the bad work chair design. A good chair does not only help prevent injuries and but it significantly enhance the level of productivity at work. 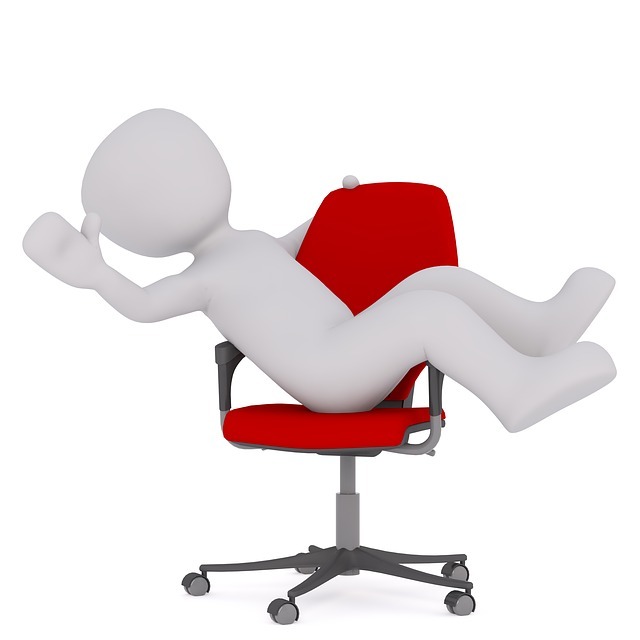 Here are some tips for workplace chair safety. Never buy a chair that looks wobbly. You should always look out for possible risks of getting injured when sitting on an office chair. It doesn’t matter whether it’s an ergonomically correct chair or a plush executive chair. Of course, most executive chairs costing over $ 1000 may have a sleek design, but you should get a chair that shaky because it’s elegant. Get a workplace chair that has enough support, five-legged bases, for instance, would a good bet. Have a careful look at the wheels and make sure it fits snugly into the base. Most workplace chair comes with an adjustment that suits your measurement. The ergonomic chair score the best in this arena. Those with tilt features are more preferred because you can adjust them according to your body. You can easily get OFFICE CHAIR UNDER $300 with tension control that compensates for the different weight of the user which is quite an invaluable feature when it comes to preventing injuries. Most office chair comes with wheels that are ideally used for carpeted floors. However, wheels may not be suitable for smooth surfaces, and this could cause injuries. If you have tiled floors, get a softer caster to avoid damaging the floor. Seek the manufacturer's advice before you purchase an office chair. Don't be stubborn, read the manual. If you purchase an office chair don't just assemble, because a good number of workplace injuries associated with chair comes from reckless during assembling. Make sure that each piece is placed in its proper place. If you see one screw around, chances are, you have screwed up somewhere, so read the manual. Make sure that the wheels are inserted correctly into the base. Your office chair is not a Rocket Ship! We all want to have all the fun on the office, swinging all over, hoping that the chair will handle all the pressure we give it, but it can’t. Sooner or later, it will reach a point where it can’t take it more, and we all know what will happen. Don't lean on your chair too far backward or forward until the back wheel is lifted off the floor. Office chair does cause lots of injuries; this is an undeniable fact, so chair safety in the workplace should not be overlooked. Always look out for possible risk of injuries when you are sitting on your chair. Remember those simple mistakes we make like failing to read the manual, sitting in the chair like it a rocket ship or a rocking boat can cause a lifetime injury.